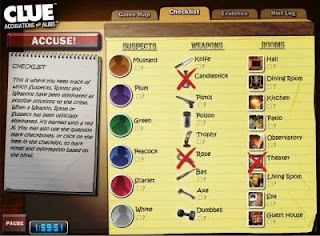 A new computer game based on the popular Clue board game, Clue Accusations and Alibis is a combo of Clue board and hidden object games. With a modern twist, this Clue based game is set in a Hollywood mansion, and you are invited along with the rich and famous to a dinner party. When your host is found murdered it is up to you to use your ace detective skills to eliminate suspects, rooms and weapons, by examining clues and rumors to uncover whodunit! Fans of the Clue board game will love this as this game uses the same basic board game rules. But with 3 main updates 1. you have a time limit to solve each case. 2. 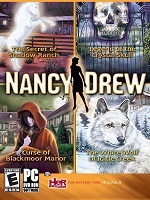 Using hidden object games you must search each room to find clues, as you clear a room another room is unlocked, and 3. 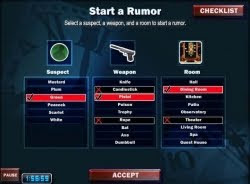 Starting a rumor is what used to the making a suggestion function in the original Clue. The other guests help you in your investigation by giving you hints in answer to the rumor you start. 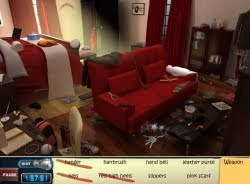 So by collecting clues with hidden object gameplay and collecting hints with the rumor system you eliminate and deduce your solution to each investigation. When you're ready, hit the Accuse button and if you are wrong you lose an hour off your allocated time. But if you're right you win the game and possibly an award! A brand new way to play CLUE! Your fave Clue characters like Prof. Plum and Miss Scarlett! 400 plus unique investigations to solve. Lovely 3D graphics that brings the Clue mansion to life! ** Sorry, this game is no longer available. However you can still play the Cluedo board game on your PC for details checkout my post: Play Clue on your computer!